Kathleen Florian age 50 of Chippewa Twp. passed away suddenly at her home April 4, 2019. She was born in Mt. Pleasant PA to Kathleen Stants Brown , and the late Kerry Brown. Kathleen was a 1991 University of Pitt Graduate with a Bachelors Degree and was employed with Nippon Express as a freight forwarder. 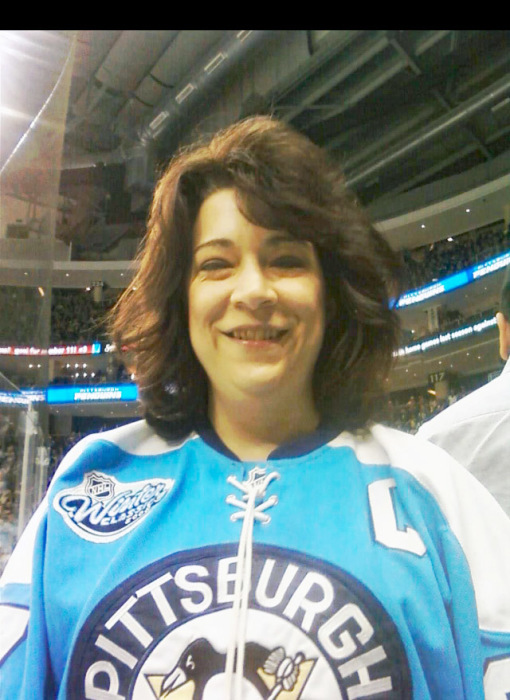 She was raised Catholic in her hometown, was a Pittsburgh Pens fan and loved to cook. She is survived by her husband, Marc Florian of Moon Twp., her mother; Kathleen Stants Brown and a brother; Kerry (Amanda) Brown of Ruffs Dale PA. also her beloved dogs Penny and Oliver and the late Gizzmo. Friends will be received Mon. 6-9pm at the Copeland Moon Twp. Funeral Home 981 Brodhead Rd. Further viewing will be held Tues.5-9PM at Saloom-Rega Funeral Service, 730 W. Main St. Mt Pleasant PA where a Service will be held Wed. at 12PM followed by Entombment in Middle Church Cemetery Mt. Pleasant PA.